Consul General Marc Trouyet warmly thanked Mr. Moynihan for his courage and sacrifice during second world ward, in front of his family and local officials. Thomas Kenneth Moynihan enlisted as a gunner in the Second Survey Regiment of the Royal Canadian Artillery. 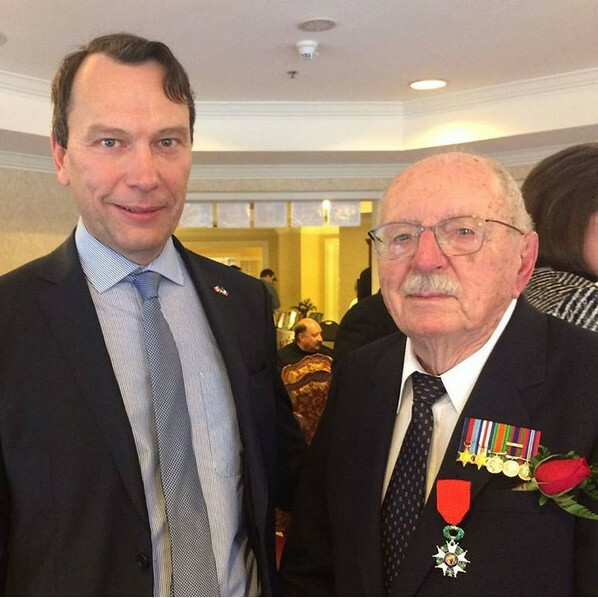 He landed on Juno Beach in July 1944 to proceed inland and located German artillery.